What's It About: "Making your skin crawl in fifteen minutes or less. With shorts ranging from darkly comedic to bloodily violent and all points between. A different film lineup each night!" 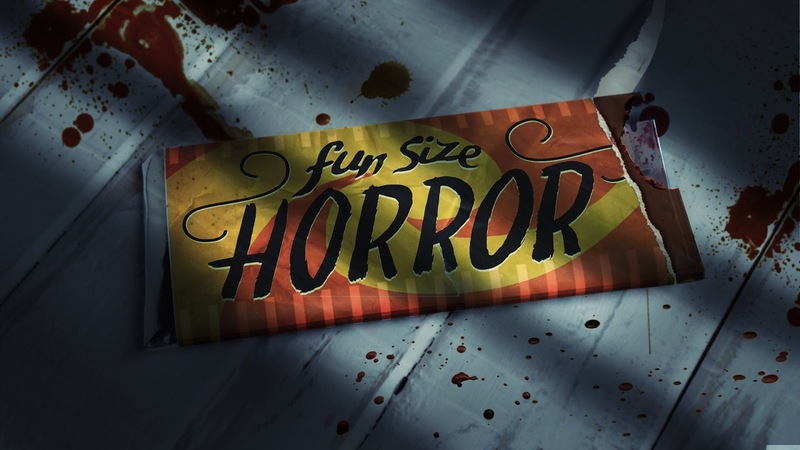 Horrorshow Hot Dog Short Film Festival presents a selection of short horror films and just as last year, I love how amazingly horror translates to film shorts. I remember being a kid and and checking out 8 and 16 millimeter films from the library (highlights from Psycho and The Screaming Skull) and watching them with my family. No wonder I adore horror so. El Gigante - The one I had to avert my eyes from. Mr. Hendrix - Short and clever. Also, Funsize Horror has the best logo ever and now that I just looked up the logo, I need to spend the rest of the day on their amazing website. If You're Sensitive and/or Delicate: Then heed the blood, language and violence ratings on the TCHF website. I had to avert my eyes during the first short of the evening. In Short: If you love horror films, then don't miss this fabulously curated evening of short horror films. I'm going back for a second look and possibly a third. Hot Tip: Check out the Horror Show Hot Dog podcast, where "we review 3 horror movies each week with humor & insight. 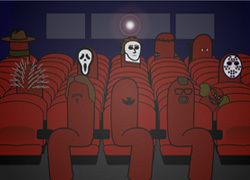 New, old, funny, scary, we love ‘em all."